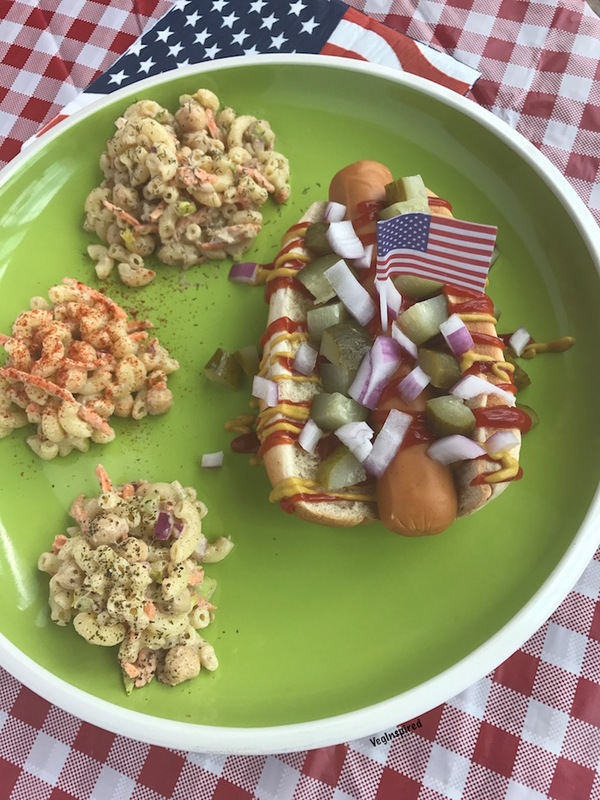 This recipe has been on a long list of “we need to try something like this” for quite some time, and we finally tried it. It was awesome! I am not usually one for spicy dishes, you know, when it calls for a habanero I am usually running the other way, but I trusted John on this one, and he was right. It provided just enough spice. 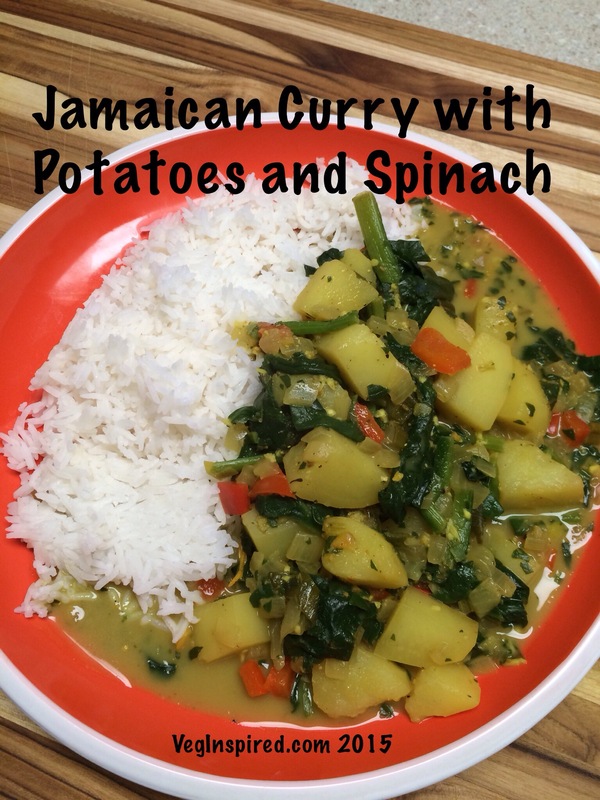 The blend of the Jamaican Curry Powder with the potatoes was a perfect combination served over the Jasmine rice we cooked. 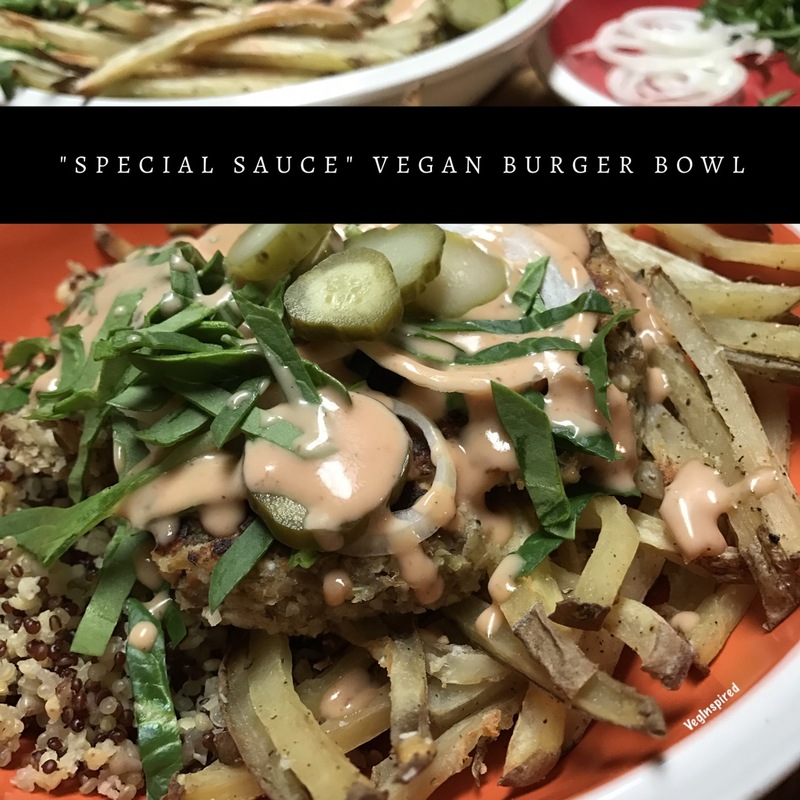 As usual, this was another win for my VegInspired chef! Sauté onions, pepper, and scallions in a Dutch oven over medium heat until starting to brown. Add garlic, habanero, curry, and thyme. Sauté until fragrant, about 30 seconds. Stir in coconut milk, water, potatoes, and 1 tsp salt. Bring to a simmer, and simmer 20-30 minutes until potatoes are soft. Stir in spinach and simmer until the spinach is cooked, about 5 minutes. Salt and pepper to taste. Serve with rice. The curry powder you often see sold here in America derives from the British in their attempt to imitate the many masalas or spice mixtures they had after annexing India in the late 1800s. Jamaican curry originates from indentured workers from east India in Jamaica during British rule. 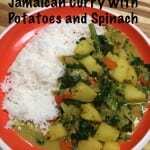 The recipe below for Jamaican curry powder includes allspice and omits spices typically used in curry powder. Curry powder can be used in a pinch. 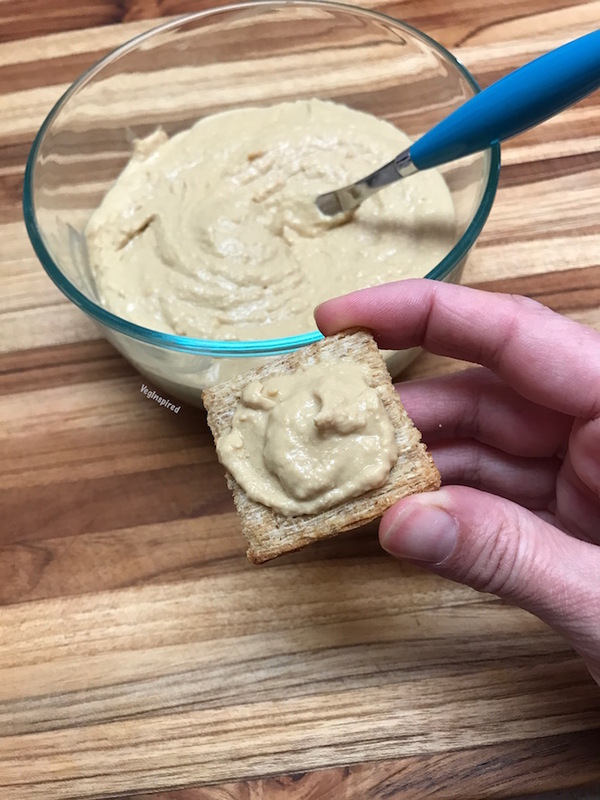 Either use all ground spices and blend or even better toast whole seeds (except turmeric), grind in a spice grinder and blend with ground turmeric. 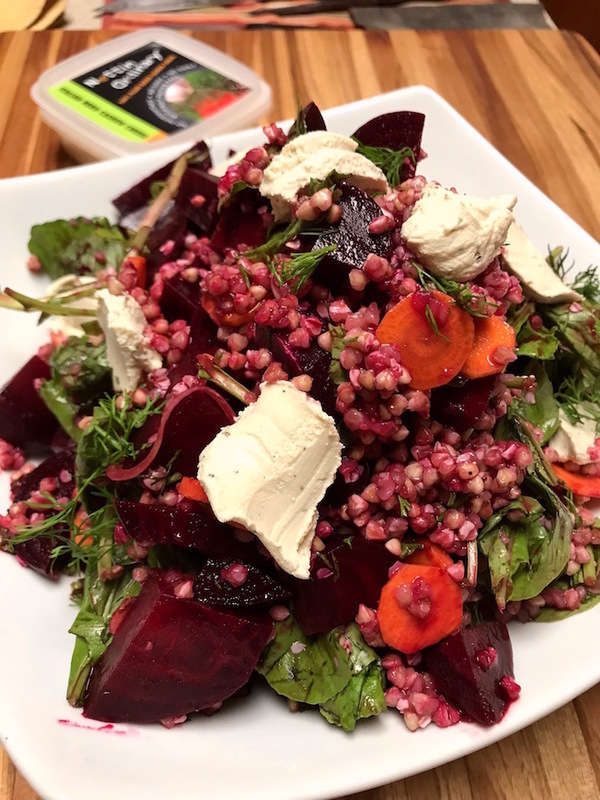 We hope this dish makes it to your dining room table soon!!! 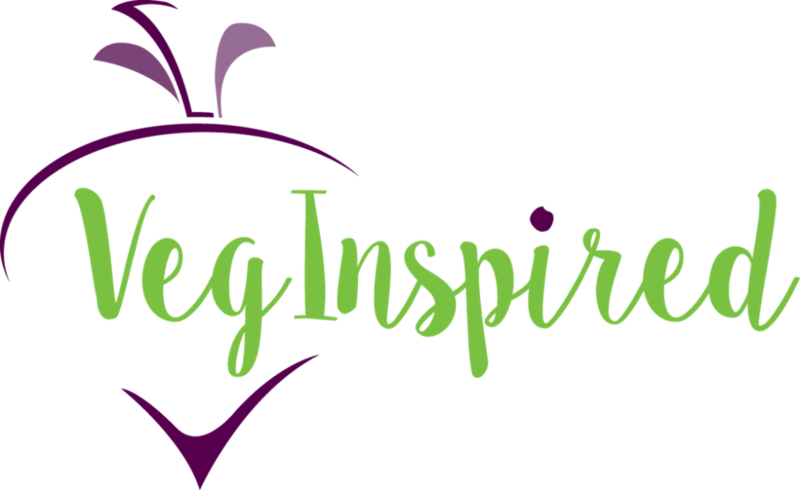 Let us know what you think in the comments and #veginspiredfoodie on Instagram!